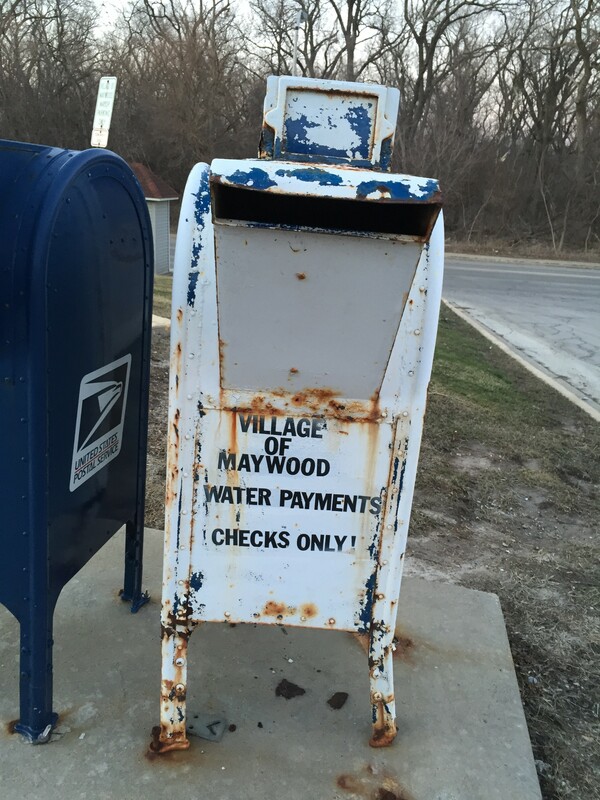 When one Maywood village employee found a loophole in water bill liens double-paid to the village in 2012, she allegedly used the extra money to credit the accounts of fellow employees and others. One person who got a fraudulent $920 credit was then-Cook County Recorder of Deeds Eugene Moore, according to audit documents. The money was re-charged to Moore’s bill two years later, records show. The sheriff’s Community Inspector General Unit recently re-opened a theft-by-deception investigation of a 2012 Maywood water billing fraud scheme that resulted in the firing of four village employees. The employee who allegedly made the fraudulent payments was not criminally charged and resigned. The 2013-14 investigation found almost $27,000-worth of diverted water bill payments were credited fraudulently to the accounts of village employees and other individuals. A $920.41 payment was credited to the water bill of a house in the first block of South 17th Avenue owned by then-County Recorder Moore, who was also the Democratic committeeman at the time. “I know nothing about [the investigation], and no one ever asked me anything about it,” Moore said when contacted by telephone. Moore did not run for re-election in 2012 and Karen Yarbrough was elected Cook County Recorder. The Sheriff’s CIG follow-up report was submitted to the Maywood Board of Trustees at its Jan. 5 board meeting. 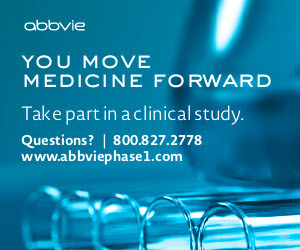 The report said one employee had possibly participated in the scheme and not been fired. Village Manager Willie Norfleet said last week the village and board had not made a decision about terminating the employee. The Sheriff’s 2015 report did not mention the overpayment to Moore’s account. According to investigation documents, the Maywood water billing department had a years-long practice of sometimes double-billing customers who had water liens blocking the sale of their property. A forensic audit said a total of $60,598.79 was erroneously double-paid to the accounts of 31 properties between February 2012 and October 2013. 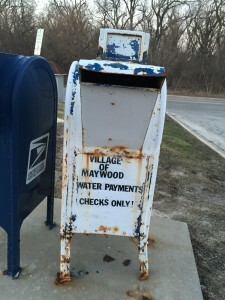 According to investigation documents, an employee allegedly told other employees whose accounts were allegedly fraudulently credited that the Village of Maywood had a “fund to help residences pay their water bill.” The employee’s supervisor’s water bill was one of the accounts fraudulently credited. The supervisor was fired. In one instance, a $5,195 payment was made in September 2012 by the County of Cook possibly intended for the account of a property near the Maybrook Courthouse. Instead it was split six ways and deposited into the accounts of a county-owned building, two Maywood employees, two other people and Moore. In another instance, a commercial client overpaid a $4,546.55 bill and the amount was split six ways between two village employees and three accounts of a longtime village vendor who provided landscape services. At the end of the investigation, Lanya Satchell, Maywood’s director of finance, told investigators the proper accounts had been re-credited and refunds issued. Moore’s bill was recharged in April 2014, records show. Assistant Village Manager David Myers, who was acting village manager during the investigation, said the water-billing department had changed the policy about double-paid water liens. “They’ve been monitoring the system much closer after this incident,” Myers said.